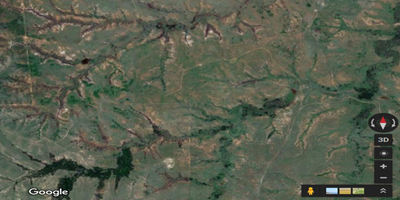 I hunted the tree belt stand this morning. 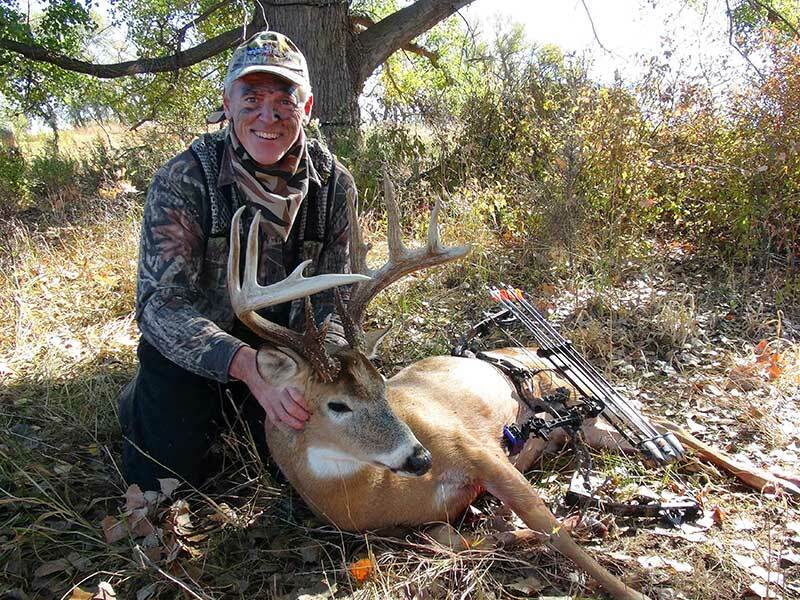 There is a nontypical buck that has been captured here and I had a perfect wind for it. He didn't show, but I did have a decent 7pt buck chasing does around for a while followed by a young buck that was doing the same. 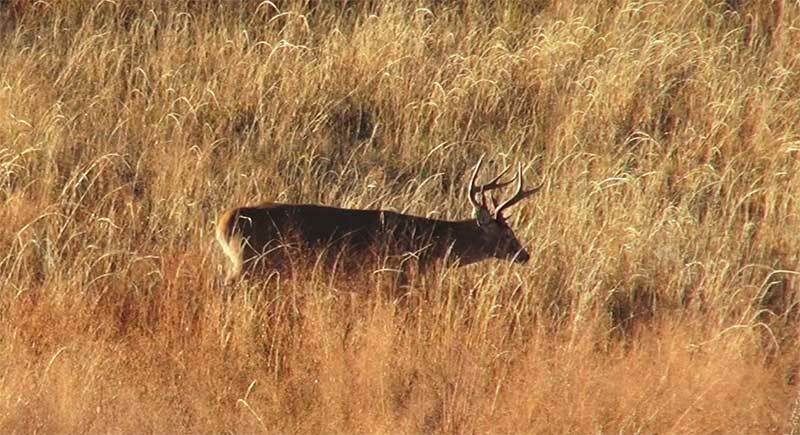 The rut is just getting started now. Even the little bucks were starting to feel frisky. I stayed in the stand until after 11 AM. Kent's son Clay picked me up first then we headed over to pick Jake up. An hour later this young buck was cruising for does. 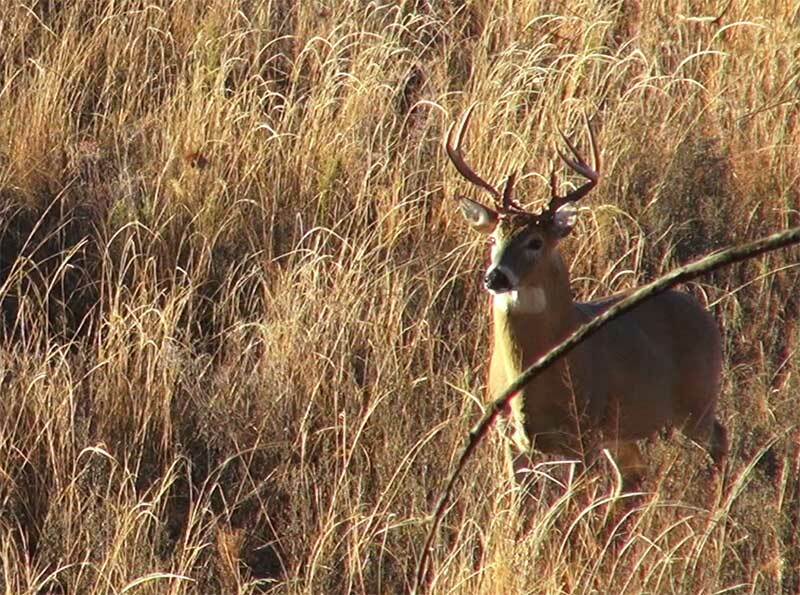 The rut is just starting to heat up. When we picked up Jake he had a big smile on his face. He had shot a great buck and watched it fall. He even captured it on video. We walked over to it and it was a dandy. A nice mature 11 point with a split G1. Jake made a perfect shot and dropped the buck within 70 yards. Jake Ensign (Medicinemann on Bowsite) shot this great buck this morning! Now that Jake is tagged out it was up to me and Tom to see if we could come up with a trifecta. I headed right back to the same treestand that I hunted this morning. I really wanted that freak buck and since he's been caught on trail cam a couple of times in the last week, I figured I'd give it a shot. It worked for me in Saskatchewan so maybe I had a lucky streak going on. I got to the stand at 2:30PM and didn't see any deer at all until the sun started to set. 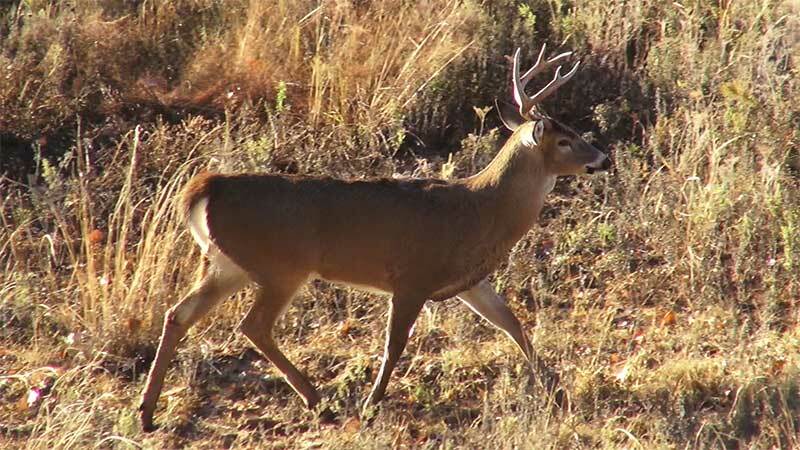 The same buck from this morning showed up and was chasing does off the bait. Then a smaller buck showed and chased a button off the bait. There was commotion everywhere and during the commotion a new buck stepped through the trees. The light was fading but I had plenty of shooting light left. I pulled up my binoculars and I saw the tell-tale sign of a bunch of freak points jutting out from his bases. 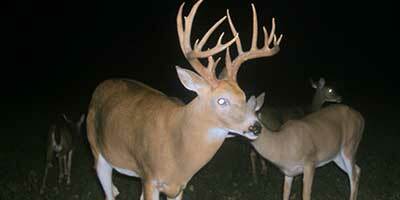 It was the Freak, nontypical buck that I wanted Bad! What were the odds? This would be my 2nd biggest buck in my lifetime with my biggest being shot in Saskatchewan only the week before last. All I needed to do was to get a good shot on the buck. I was calm and ready. The buck fed for a bit and eventually turned and gave me an extremely hard quartering away shot. It's a shot that demands precision but it's devastating. I like the shot very much and take it so long as I am comfortable with it. I drew my bow and settled the pin way back near his hindquarter. The arrow buried into the buck but the penetration was less than I expected. Did I screw up? The buck took off and I had that sick feeling. 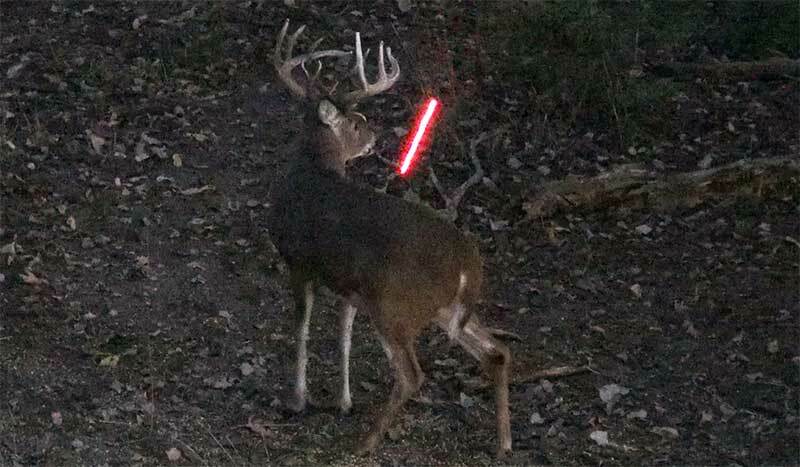 Something looked wrong, but the lighted nock and the video would confirm exactly what happened. I decided to take a hard quartering away shot which I like very much - but it can be tricky. The shot looked fine on video. The only issue is I would have virtually no blood trail. I called Kent, talked it over - then waited for his son Clay to show up. There was enough of a blood trail to follow and I found him after 45 minutes of tracking. 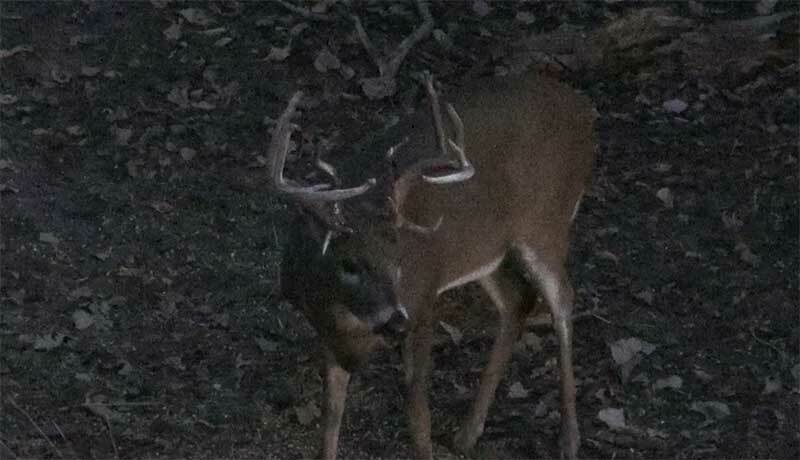 He was MUCH bigger than he looked on trail cam pics. He has 18 points, including his trash and nontypical points - and his mass is just incredible. 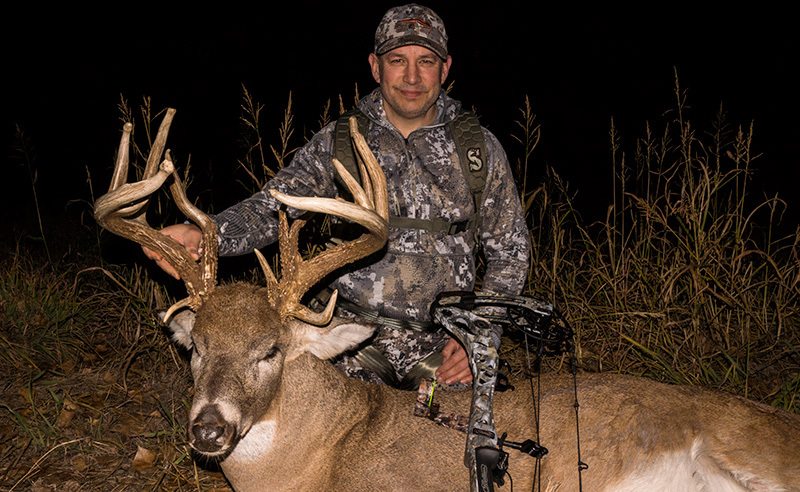 Pat's buck greens at 175" and was shot with a 2017 Mathews Halon 32, Carbon Express Pile Driver Arrows, Slick Trick Broadheads, and Black Gold Sight. Pat is wearing Sitka Fanatic series clothing and a new Summit Safety Harness. I can't believe my hunt, and Jake's hunt is over on day 2! Tom has the whole place to himself. I'm staying here for another day or two so if Tom gets a buck I'll update the live hunt. Another incredible hunt here in Kansas! Great friends, great hunting, lots of laughs, and watching a historic election unfold before our eyes. It doesn't get any better than that.